Full Moon Lunar Eclipse in Leo/Aquarius_Connecting with your Transpersonal Witness! The New Moon was in Capricorn and this Total Lunar Eclipse/Full Moon is in Leo. Capricorn is ruled by Saturn- the farthest planet visible to the naked eye. 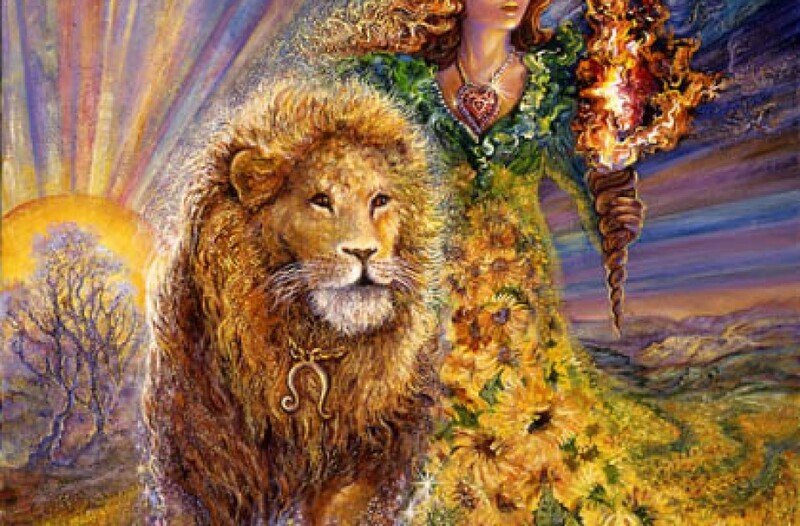 Leo is ruled by the Sun- the center star of our galaxy and the Source of Light and life. Where the Sun is about shining, being seen and expressing ourselves creatively and originally- Saturn is about discipline, lessons, hard work and reigning it in. They are very opposite energies and if we overdo either at the expense of the other we will have issues. Too much Saturn and we are inhibited, holding ourselves back, hard on ourselves and not realizing our fullest potential. Too much Sun without healthy Saturn to balance it and we are narcissistic, self-focused, always doing what we want but not able to creatively work within limits and discipline ourselves. So this lunar cycle has a focus on this imbalance- with a need for us to really admit which side is our edge- so that we do the work to push past it! Pat Liles, in her description of the lunar eclipse we are experiencing today, says that we have the opportunity in Aquarius to detach from experiences we have had, acknowledge them, let go of them and move on. How do we do that? I think we can do it by connecting to our Transpersonal Witness_ the part of us that can observe what we are experiencing without judgement or involvement. It exists on the transpersonal level of reality and can see clearly what is happening. It is objective; it has no attachment, so it observes but does not judge. So rather than re-experience something painful or traumatic personally, we can observe it from this place of detachment and as we do that it can dissolve. We begin eclipse season with a dramatic Super Moon and a total lunar eclipse ~ Leo would have it no other way! Super Moon means closest to the Earth and measurably bigger and brighter. Amplified! With Leo as ruler of the heart and upper back, the best medicine here is to open and fill your heart with these moonbeams. We are opening to love in magnificent new ways and breaking down the old walls of separation with all the growth we have done in the past. To have an eclipse, the Sun and Moon must be aligned with the North and South Nodes. Here we have the South Node aligned with the Sun and Venus – an opportunity to let go of all those times we felt we weren’t loved the way we thought we should have been loved. In Aquarius, we can look with some real detachment at the events of our lives, acknowledge the experience, let that old loved/unloved story go and put on our big-girl britches and move on. Aquarius Sun/Venus can help us move in to the modern moment of now, push the boundary, and live in an entirely new headspace where we ARE love. Eclipses are 19-year cycles. They are our change barometers. We evolve as we are pushed to realign/reset the cosmic forces as the nodes march around the zodiac spending 18 months in a sign affording us new lessons and growth. A lunar eclipse pushes into the resetting of the emotional realms. With Venus and Ceres opposed and aligned with the Sun and the Moon respectively, our personal values, relationships, aesthetics, and ability to nurture our self and others will come prominently into focus. As the Earth moves between the Sun and the Moon, and the Earth blocks the light at eclipse, we feel the shiver and release into emotional truth. Reflecting back on our pasts 19 years ago and these themes of love, nourishment, growth, creativity, abandonment, and parental relationship, what have been your experiences, what has ended, what desires to be born?